Read 2 times. Last read 2018. Karen Gross is not your typical College president. She has a well developed understanding students who have survived toxic stress and trauma throughout their lives. She has concrete ideas and suggestions to ensure better higher admissions of vulnerable students to university, as well as higher completion rates. She has even coined the word "lasticity" as a way to articulate the five building blocks required in order foster student success and hold institutions responsible for being responsive to all students. The books has a conversational tone, unabashed opinions and an American frame of reference. It is a must read for those considering short and long term goals for institutions to re-invest themselves to nurture student success. 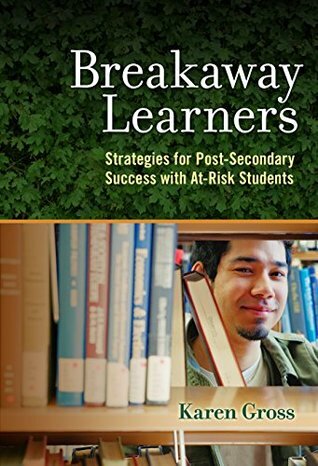 Sign into Goodreads to see if any of your friends have read Breakaway Learners.